The last time we heard from the Quaker City Night Hawks, they were traveling the country in support of their Lightning Rod Records debut, El Astronauta, an album that mixed the greasy strut of 1970s rock with doses of down-and-dirty Texas blues, science fiction, and Bible Belt boogie. The guys were Texans by birth, but their music whipped up its own geography. With its spacey, southern stomp, El Astronauta could’ve been the soundtrack for a road trip across the American desert…or even the house music for a weekend night at the Mos Eisley Cantina. Arriving two years later, 2018’s QCNH ramps up that diversity with 10 new songs rooted in vintage R&B grooves, Stax-worthy funk, and guitar-fueled psychedelia. QCNH is tied together in more ways than one. Recorded at Niles City Sound (where Leon Bridges tracked his Grammy-nominated debut, Coming Home, several years earlier) in the band’s hometown of Ft. Worth, the album weaves a handful of signature riffs and melodies throughout multiple songs, filling the tracklist with a common strand of musical DNA. The result is a boldly heterogeneous album that still functions as a cohesive whole, produced by White Denim’s Austin Jenkins and performed by a group of road warriors who smartly balance their strengths — Anderson and Matsler’s hook-driven songwriting; drummer Aaron Haynes raw rhythm; the band’s blend of Tex-Mex desert rock and street-smart, big-city bombast — with their desire to explore and experiment. The exploration begins with the kinetic kickoff track, “Better in the Morning.” Loose and coolly confident, it’s the sort of rock & roll anthem meant to be blasted loudly through open windows on a car stereo. From there, the album follows its unique muse into uncharted territory, from the sexed-up soul-funk of “Suit in the Back” to the heartland rock & roll of “Colorado” to the taut, riff-filled abandon of “Freedom.” Along the way, the Night Hawks nod to Heart’s Dreamboat Annie by pairing their acoustic guitars with analog synthesizers (“Elijah Ramsey”) and deliver their own version of southern rock (“Fox is in the Henhouse”). QCNH casts its net wide, roping gospel harmonies, extended jams, pop hooks, swirling organ solos, and guitar freakouts into the same tracklist. The song’s lyrics follow suit. With “Elijah Ramsey,” Matsler spins the story of a Millennial male who joined the Army in the wake of 9/11, only to deal with repercussions for years. “I had listened to ‘Copperhead Road’ by Steve Earle,” the singer explains, “and it occurred to me that nobody that I’d heard had written a song about some of these men and women’s stories that evoked sounds and imagery that they would have experienced during their time serving in the middle east.” On “Suit in the Back,” the guys recall a real-life run-in with a highway trooper during their Chris Stapleton tour. 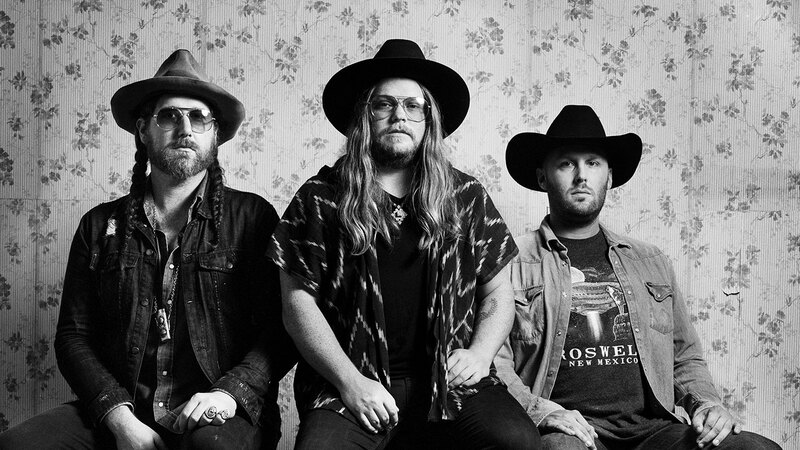 Perhaps most poignantly, songs like “Tired of You Leaving” and “Freedom” double down on messages of resolve and resilience, with the Quaker City Night Hawks turning their personal struggles into reminders to seize the day. Built upon a series of live-in-the-studio performances, these tracks shine a light not only on the band’s songwriting chops, but their strength as a road band, too. Many of the tunes were debuted on tour, where their arrangements could be shaped and sharpened according to an audience’s reaction. As the music evolved on the road, so did the Night Hawks’ lineup, which has weathered a handful of lineup changes since the band’s formation. QCNH focuses on the band’s creative core, with Anderson, Matsler and Haynes producing their strongest work to date. Balance. It’s the key to any band’s survival. After weathering years of ups, downs, and lineup changes, Quaker City Night Hawks reach a rare kind of balance with QCNH. It’s an album that rocks as hard as it rolls. An album that nods to the band’s past while pushing off toward a new future. An album that reintroduces Quaker City Night Hawks as a 21st century band inspired by — but not defined by — the best parts of previous decades.